We are engaged in offering high quality Mounted points. These products are procured from reliable vendors of the industry, ensuring durability at customer end. Well known for hassle free performance, these mounting points are made by using latest technology, high quality material and is offered at market leading prices. Majestic Industrial Products Supplier was incorporated in the year 2005. 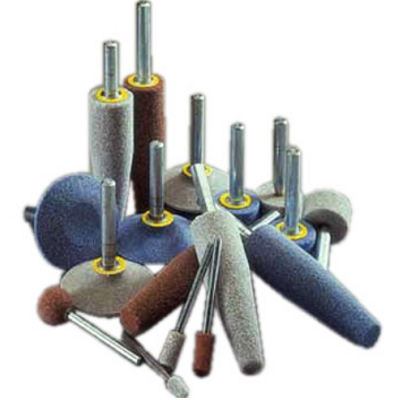 We are wholesaler and distributor of Super Abrasives, Bonded Abrasives, Emery Polishing Paper, Mounted Points, Emery Flap Buffing Wheels, Granite Polishing Nut Wheel, Honing Sticks, Internal Grinding Wheels, Emery Mop Wheels, Coated Abrasives. Apart from providing the above mentioned products in standardized forms, we also have the ability to offer customized solutions to the clients as per their needs and specifications. We procure our entire range from reliable sources only. Moreover, our entire product range is made using superior grade raw materials and is an epitome of strength and durability. In addition, our competitive price policy gives us an added advantage over our competitors. Supported with a modern and advanced warehouse, we are capable of storing bulk quantities of products. Besides, segregated into various divisions, it assists us in the easy identification and quick retrieval of the product. our warehouse is effective in accommodating voluminous quantities, it is effectively paired to guard our products from any sort of damage and defects. In addition, we believe that customers satisfaction lies in the quality services and timely accomplishment of tasks and providing industrial tools at reasonable prices. Therefore we always adhere to follow this path for our overall success. last but not the least, we have team of professionals who work in tandem with each other to ensure that all orders are completed with assured quality and value.